Several issues awaiting the cabinet’s approval were finally addressed in a meeting presided over by the Chief Minister on November 19. Minister for Rural Development, Law and Parliamentary affairs, Krishna Byre Gowda, briefed the media on the important decisions taken. Among them was the nod given to execute the Peripheral Ring Road project at a cost of Rs 17,000 crore. Toll fee collection will be a revenue stream for this project. Since there were no agencies ready to fund the land acquisition due to controversies surrounding compensation to farmers, the state government has decided to bear it. GoK will, however, approach JICA for a loan to fund the project cost. Former CM Siddaramaiah’s housing scheme in apartment complexes was upgraded from the previous limit of three floors from the ground upwards to a maximum of fourteen floors. The change was made to accommodate the increasing population of the urban poor within the shrinking space of the city. Subsidised prices between Rs 2 to 3 lakh for single bedroom flats will be available depending on its area, said Gowda. A water treatment plant at Tippagondanahalli was approved to ensure that the reservoir has a facility to receive water from the Yettinahole project. The cabinet further decided to allot Rs 285.95 crore towards Bengaluru’s water supply. In the area of governance, a sub-committee was formed to look at the schedule of government officials in 2020 and cut down the number of holidays, said Gowda. Also, the Lokayukta has been asked to avoid cases with conflict of interest. Citizens in apartment complexes who installed machines that claimed to compost in 24 hours complained to BBMP of being cheated by the companies they bought it from. The machine that cost Rs 8 to 10 lakh malfunctioned after a few months and started consuming huge amounts of electricity. BBMP officials said only organic waste converters were authorised and these machines were not allowed to operate. Meanwhile BBMP Joint Commissioner (SWM) Sarfaraz Khan re-iterated that marshals will be appointed in all 198 wards for better enforcement of garbage collection. At present, 3-4 retired army personnel have been deployed in each of the eight zones. With the help of BBMP officials, a fine of Rs 4.8 lakh was collected, while 4925 vehicles and people have been fined from October 24 to November 20, 2018. 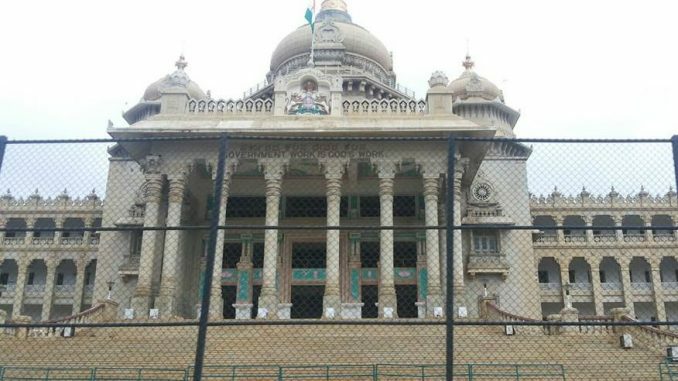 BBMP Commissioner Manjunatha Prasad defended failed efforts to remove flexes as per the High Court’s order at an event organised by Bengaluru Political Action Committee (B.PAC) on November 17. He said doing the job is easier during elections as opposition parties want to find violations in the code of conduct. On usual days, political interference gets in the way of discharging duties and HC’s pressure to push BBMP workers to perform better is needed, he added. There is interference from all quarters, including from within the BBMP. Different ‘job codes’ are mandated to be documented for various works undertaken to prevent misuse of funding. The Times of India found one job code issued to nine projects in Herohalli and Doddabidarakallu wards. When the mistake was brought to the notice of BBMP Special Commissioner Manoj Kumar Meena, he said he would direct the file to the Urban Development Department. Before it could move forward, a single job code was approved by the BBMP Commissioner himself for all 9 projects, allege sources in the Palike. Better management is the solution cited often by activists and politicians to enable transparency in BBMP’s dealings. Deputy CM Parameshwara said the government is considering elevation of the BBMP commissioner to the level of the City Commissioner, and making zone-wise commissioners more independent. He said that the restructuring of the BBMP will also be discussed in a few months again by the State government. The BBMP in collaboration with ISRO has built a database of 19 lakh properties, using geo-spatial technology which will be completed by November. The GIS Enabled Property Tax Information System (GEPTIS) project has identified 22,791 discrepancies committed by citizens in order to escape paying property taxes. Some violations include providing misleading information by declaring multi-storeyed buildings as single floor houses and falsely declaring vacant plots where construction is present. The BBMP Commissioner said data will be updated every six months with information revealing encroachments on lakes and storm water drains. The Palike is looking at increasing property tax by 25% on residential properties and 30% for non-residential properties to make up for losses. The BBMP collected Rs 1,777 crore in 2017-18 while aiming at Rs 2,600 crore. Karnataka Municipal Corporation Act, 1976, says property tax can be hiked every three years. Accordingly, the body’s Standing Committee on Tax and Finance is expected to clear the proposal submitted by the Commissioner and is likely to be effective April 2019 onwards. The hope is to generate Rs 500 crores more which in turn would be used for infrastructural projects, said Prasad. The Sewage Treatment Plant at Cubbon Park was upgraded from 1.5 million Litres Per Day (MLD) to 4 MLD to serve Vidhan Soudha, Vikas Soudha, High Court and other government buildings for non-potable uses. During the inauguration, the Deputy Chief Minister said it will be compulsory to install STPs in apartments regardless of the number of units. In 2016, the government amended the rules to make it mandatory to have STPs for buildings with 20 or more units. The rule will be modified again, and will be monitored by BWSSB regularly for strict enforcement. The entire city now generates 1440 MLD of waste water, while only 1057 MLD is treated. The waste water will increase by an additional 129 MLD once the drainage network of the 110 villages is operational. Parmeshwara urged citizens to pay their water bills regularly to help the system. The minister directed BWSSB to register FIRs against people using illegal water connections. New projects are underway, he confirmed. The 150 MLD capacity STP of the Koramngala-Chalaghatta Valley project is likely to completed by July 2020 as 32% of the work is over. Another STP processes around 300 MLD of sewage in Koramangala everyday. 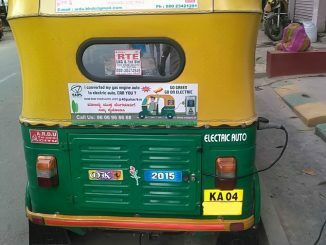 After auto-rickshaw unions protested against the ban on two–stroke autos for financial reasons, the government has given them time till 2020 to purchase four-stroke autos. A core committee was formed with RTO officials and the auto-rickshaw unions to hear their concerns, and a meeting was held on October 23. Fitness certificates for two-stroke autos running on LPG will be renewed till March 2020 thereby temporarily lifting the ban imposed in April 2018. A memorandum submitted by unions demanded an increase in the amount of subsidy from Rs 30,000 promised by the government to Rs 50,000 and a simplified procedure for the cancellation process in place at the scrap centres. The Transport Department had a target of scrapping 150 auto-rickshaws everyday at the scrapping centres at Rajajinagar and Nelamangala in 2017. Is the tax that you pay the BBMP coming back to you in the form of good infrastructure? If not, what is happening to the money? What does the data say? Take a look at this article.